Dr. Shannon LeBus graduated in 2011 with a Bachelor of Science in Biology from California Polytechnic State University in San Luis Obispo. She went on to receive her Doctorate from the University of Houston College of Optometry in 2016 and is currently a Texas Optometry Board licensed Therapeutic Optometrist. Dr. LeBus completed her externship training in the South Houston area with an emphasis in ocular disease treatment, RGP/scleral contact lens fitting, and refractive surgery co-management. She also completed a rotation through the pediatric, low vision, and medical eye service specialty clinics at the University Eye Institute. Dr. LeBus is dedicated to practicing full scope optometry with special interests in fitting custom contact lenses, pediatric eye examinations, treating ocular diseases, and managing a variety of pre and post surgical patients. She is an active member of the American Optometric Association, Texas Optometric Association, and Harris County Optometric Society. 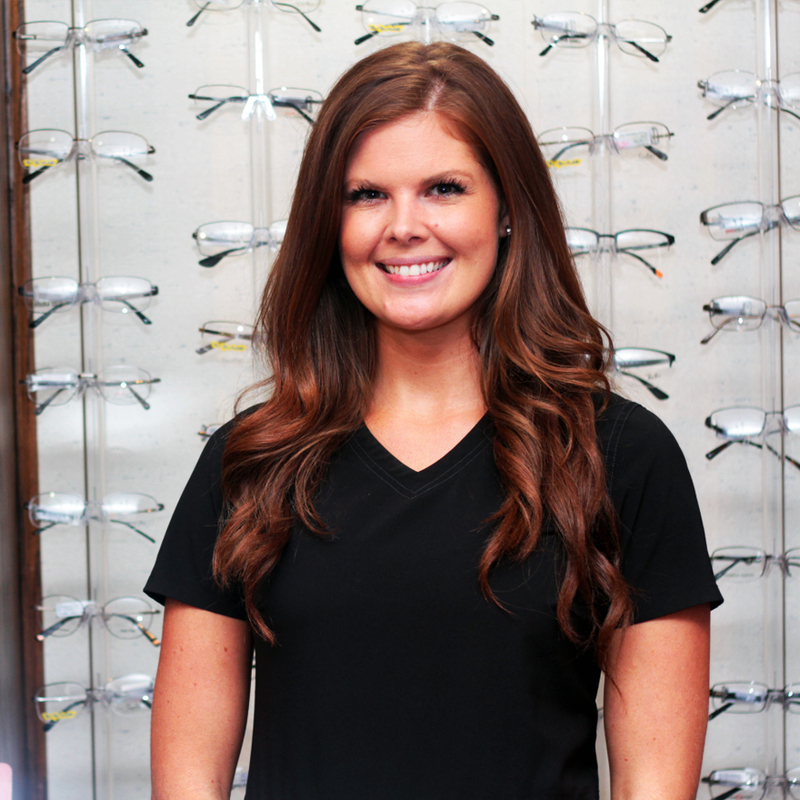 Dr. LeBus is a California native, but has made Texas her home since moving out to Houston for school in 2012. She is newly married and resides downtown with her husband John and their two dogs. She is an avid dog lover, fitness enthusiast, and enjoys spending time outdoors. She also loves traveling with her husband and is currently pursuing her private pilot license. Thanks for your interest in our services. Please visit the contact or appointment page on the website and describe all the details needed and a staff member will be in touch shortly. Thank you.